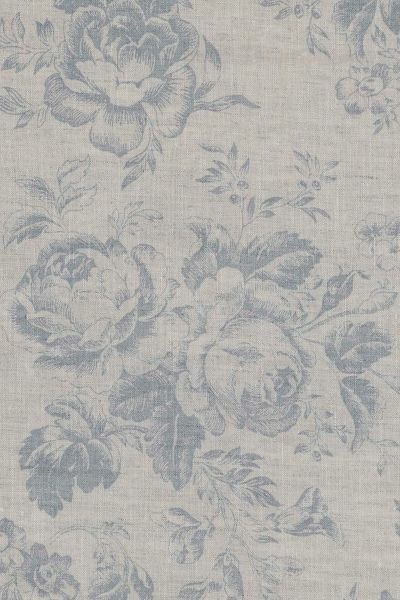 Ancient full blown roses and delicately drawn foliage in beautiful subtle French blue grace this natural coloured linen fabric. A strikingly beautiful print, especially when used in abundance. Please note that it takes approximately 4 weeks from confirming your order for your fabric to be ready to dispatch.